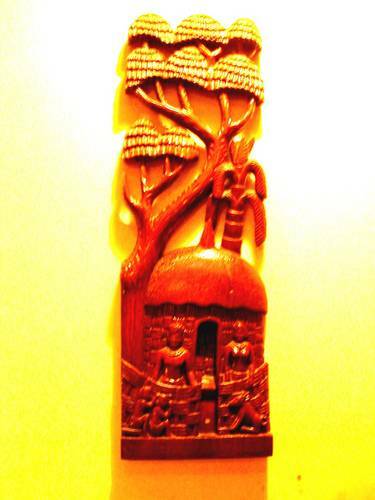 This wood carving is a Bastar wood carving. Bastars are a tribe of Madhya Pradesh in Central India. The carving has had to be unfortunately lacquer polished to preserve it. The image has been digitally enhanced. Thanks, Carol and Whittler. Since it was fixed in the passage, I had to stand in the elevator for that shot! WOW!! what a nice shot and great carving.